As Baby Boomers and Gen Y continue to age, car manufacturers and dealers must find a way to reach Millennials. As this demographic continues to grow, their buying power and influence will be critical for car makers to acquire. Millennials are emerging as one of the largest demographics, and will soon become influential decision makers and take up the bulk of the purchasing power. A recent CNBC article reported the importance of marketing to Millennials as they venture into adult life. Though they’re making major decisions later on in life, they will soon be the driving force in the economy. Now that we’re in an age where we want the latest and greatest all the time, Millennials are leading this charge, particularly when it comes to car shopping. Gone are the days of holding onto the same car for ten years. According to Experian, the average length of ownership has fallen below 65 months, which means most people today get a new car every 4-5 years. As Millennials look to social media for information when making decisions, Swapalease.com is a great place to start for individuals looking for a great deal on a vehicle. The largest online car lease marketplace, Swapalease.com has all makes and models to suit individual preferences, even tech-savvy Millennials. For Millennials looking for compact cars, environmentally friendly models or for the best deal, Swapalease.com makes getting into one of these vehicles simple and easy. By matching someone looking to transfer out of their lease with someone looking to takeover that lease, both parties get what they’re looking for. 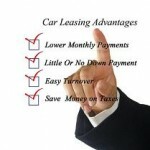 What’s better than getting a great deal on a car lease deal? Being able to drive a “filler” car before the one you want arrives. But not just any car, a Porsche! That’s exactly what the auto maker is offering. Customers looking to get the new 2015 Porsche Macan might have to wait until it arrives. A recent article in Forbes elaborated on this plan Porsche is offering to current and new customers. While waiting for your brand new Macan, you can lease a Boxster or Cayman for six months. This short-term lease serves as a bridge to when the Macan becomes available. Current Porsche drivers can extend their current lease until the car they’re waiting for becomes available. Although this sort of marketing play isn’t new in the automotive industry, it certainly is getting more traction. But why get caught waiting for the car you want to become available when you can get into that car now? Swapalease.com is the place to go for consumers looking to drive the latest makes and models. The largest online car lease marketplace, Swapalease.com pairs individuals looking to exit their lease with individuals who are looking to take over a lease. In a world of instant gratification, waiting six months for the car you want to drive is six months too long. Swapalease.com has the car you want and you don’t have to wait for it to become available.